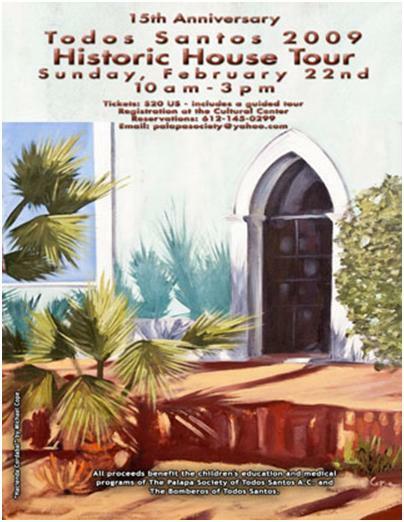 February brings a number of events in Todos Santos, among them the historic home tour which is a can’t miss event. This is one of my favorites, as you get to appreciate some of the noteworthy architecture in town in the context of its history. You can also see what an amazing job the local artisans have done to restore this memories, typically in their own colorful interpretation. For more information, contact Sharon Morris at 612-108-3502 or 612-178-0104. 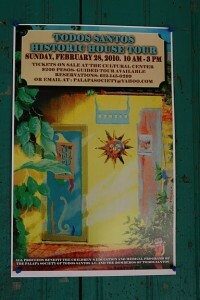 For 2011 the 19th annual tour will take place, on the last Sunday of the month, February 27th. Tickets can be purchased at the Cultural Center for $20USD, starting at 9:30. The tour can be conducted on a self-guided basis or with a guide anytime from 11 am to 3pm. 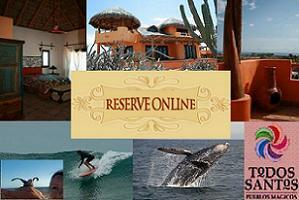 All benefits go the Palapa Society and the local Bomberos (fire department). Typically on a Sunday, it’s a great chance to meet the locals, get decorating ideas and learn about the history of the town. 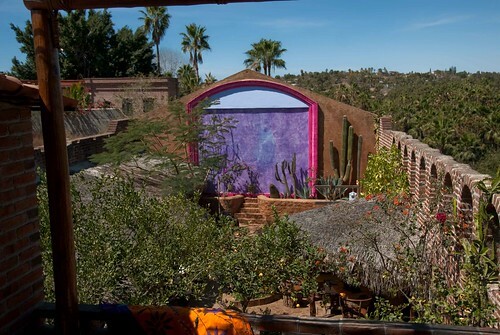 Get a chance to see the outdoor screen of the Cine Veijo (the original town theater), the rooms of the legendary Hotel California, the Todos Santos Inn and some of the most architecturally historic homes in Baja. Guides share legends of the original founders. Several of these private homes once belonged to sugar cane and silver mining barons. Some have been home to the same families for generations. In 2010 the event took place on February 28, 2010. In 2009 over 300 people attended the 15th anniversary of the event. For links to pictures from February 2009, click HERE. The Palapa Society of Todos Santos is a multi-cultural non-profit organization providing local youth and their families with a variety of quality programs, activities and events. If you are interested in learning more, volunteering, or making a tax deductible donation stop by The Palapa Center on Calle Obrégon or visit online HERE.